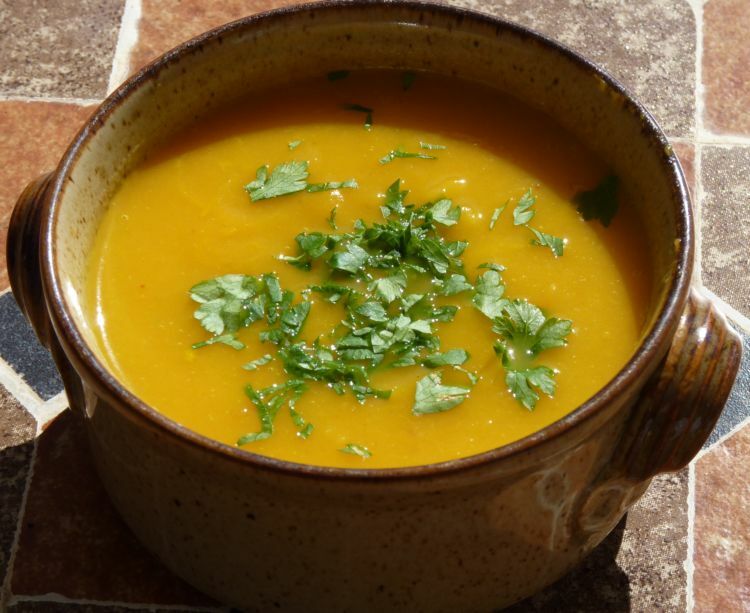 I haven’t cooked this delicious low calorie soup for a while so as I have some butternut squash in the freezer that needs eating what a great excuse. I have cooked many recipes from this book and they’ve ALL been delicious! I am always keen to try new recipes especially those which are filling and with not too many calories. My biggest problem with losing weight is that I only have to look at food and I pile on the pounds! I tried this recipe from the “Greedy Girl’s Diet” book and it was absolutely delicious! Despite Mr. Piglet’s moaning and “tutting” the whole time I was cooking the soup that he did not like ginger or cumin, even he, despite his earlier reservations, agreed it was absolutely scrumptious!